Vicodin is an often-prescribed painkiller. It is not a singular drug, but a combination of the opiate hydrocodone and acetaminophen. The acetaminophen in the formula works to reduce possible swelling, while the hydrocodone is present in the formula to ensure that users do not experience pain sensations. The drug is made for moderate to severe pain relief. The drug induces a sense of euphoria and ensures that our brain’s pain receptors are unable to receive any further signals. This means that it can be extremely effective for pain relief. However, because of the euphoric sensations that the drug provides and the way it interacts with the brain, those who use the drug for longer periods may find it extremely addictive. The drug is one of the more successful medications for pain management. This lead to the drug becoming one of the most prescribed painkillers in the world. According to the statistics, the shift to over-medication was quickly realized. Both hospitals and pharmacies throughout the United States distributed enough of the medication to ensure that both children and adults throughout the country were able to be fully medicated for a prolonged period. 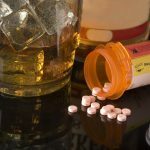 Even though that might call into question the issue of overprescribing, it should show why so many people need Vicodin rehab and addiction treatment. 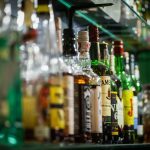 If there is so much of the substance available, chances are that abuse becomes a widespread problem. This is not to suggest that people develop a dependence on the drug instantly. Most people, despite warning labels and doctors recommendations, are unaware of how potent of a painkiller this is. But it is important to note that most people who use Vicodin for pain management will not need Vicodin rehab. Many people are able to use the medication to manage pain, taper off with the help from their physician, and never abuse the drug again. The problem is when people abuse the drug that they were prescribed, or have no prescription for at all. These are people who might ask a friend for a few pills when they feel pain or who want to use them for recreational purposes. Because of the prevalence of Vicodin throughout the country, most people are able to get access to the drug if so desired. One of the reasons that people need help for Vicodin abuse is because of what changes the drug makes to the body. By attaching itself to a number of receptors in our body and our brain, it gives the users sensations of peacefulness, relaxation and euphoria. People who only use the medication as prescribed barely feel these sensations. However, those who abuse the medication find that at higher doses, the feelings can be overwhelming. Most people do not realize that they have become dependent on Vicodin before someone else suggests that they seek treatment for Vicodin addiction through a Vicodin rehab center. Most people who abuse the drug, mistakenly, believe that they are able to give up the drug at any point. Few appreciate the difficulties that withdrawal can bring with it. As people become more accustomed to having the drug in their body, they need to take increased dosages just to feel ‘normal’ again. 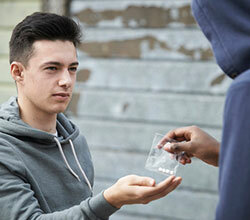 If the user does not have access to the drug or ceases use altogether, it can lead to withdrawal symptoms. These may include chills, cause the user to sweat profusely and the user can become nauseous. Because of the body requires a constantly increasing amount of the drug, it is important to note that that Vicodin treatment is not just necessary because of addiction issues, but also because of health issues. Because of the acetaminophen in the formula, long-term users run the risk of long-term liver damage. Add in the fact that a fatal overdose is always a reality, and you might understand why it is important to get someone Vicodin addiction help as quickly as possible. Vicodin rehab is necessary for many long-term users. Not just because of the societal or mental implications of Vicodin addiction, but especially because abuse of the drug can lead to a dangerous overdose. The dangers of an overdose increase drastically if someone abuses Vicodin in combination with other drugs. Unfortunately, many people who abuse the drug will combine the base drug with something else, just in an attempt to increase their euphoric effects. Because opioids suppress the central nervous system, it could lead to dangerous breathing problems. That is one of the reasons that people who overdose on opioid drugs pass away, because their bodies are simply unable to take in enough oxygen. If you know someone or you yourself are someone who is struggling with Vicodin addiction, make sure that you reach out for professional help as soon as you can. Even though there are different treatment options available, the residential (inpatient) programs have a far greater chance of success. Remember that detoxification of the body is just a part of the process. It does not make up the entire recovery process. Just because someone’s body has detoxed from the drug, that does not necessarily mean that the person will not relapse again. Long-term treatment options are going to take a longer period of time. It can take months before a long-term user feels comfortable about their ability to resist temptation in the future. Finally, it is important that the person understands what led to the dependence of Vicodin to begin with. There are often unmet needs or unhappiness that need to be addressed before the user can move on. Even though it can be a long journey, you need to pick up the phone and call today to get help if you want to take that first step.